Jasprit Bumrah picked up 6 wickets. 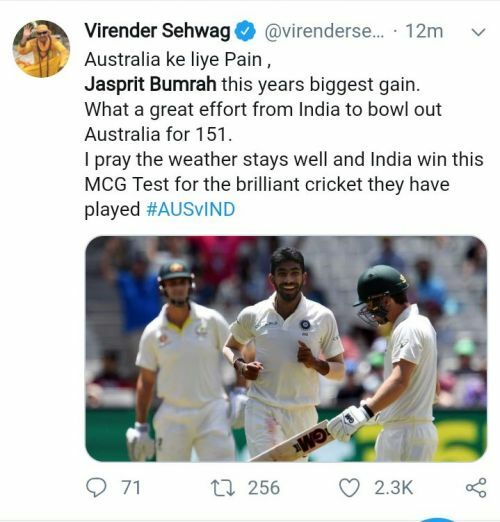 After having suffered a huge defeat in the second test at Perth, the Indian team began the third test at MCG, on a positive note by piling up a huge score of 443/7 on the back off a fine hundred by Cheteshwar Pujara and couple of half-centuries by skipper Virat Kohli, Rohit Sharma and debutant Mayank Agarwal. Having a huge score of 443 to protect, the Indian opening bowlers Ishant Sharma and Jasprit Bumrah began the third day on a bang by having Australian openers Aaron Finch and Marcus Harris in all sorts of troubles early on and dismissed both of them in quick succession. 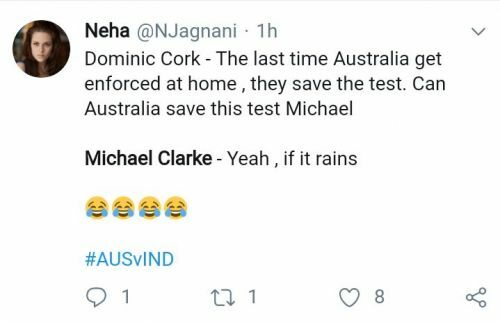 Soon, Australia's most reliable batsmen Usman Khawja and Shaun Marsh who was done in by a beauty from Jasprit Bumrah followed the openers to the dugout, which left Australia tottering at 89/4 at lunch. 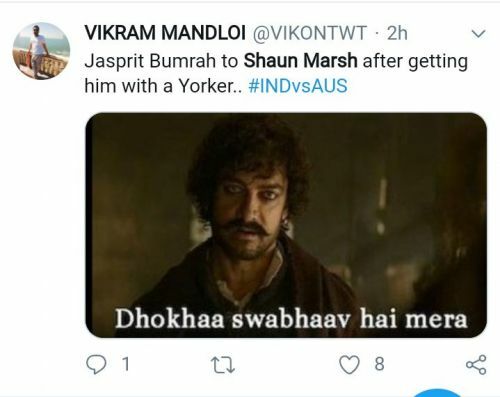 After lunch, Australian batsmen struggled continued in front of a disciplined bowling effort by Indian bowlers and were eventually dismissed for 151, thereby handing India a huge of 292 runs. 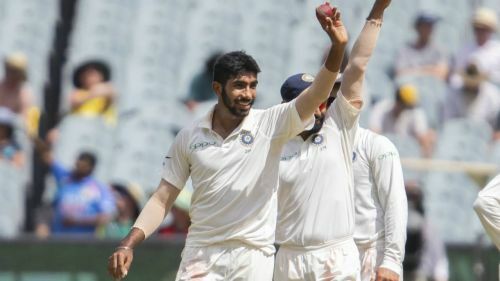 For India, Jasprit Bumrah was the main wrecker in chief as he bowled a brilliant spell of fast bowling 15.5-4-33-6, to completely rattle the Australian batsmen. Whereas, for Australia most of their batsmen got off to a good start but failed to carry on as Marcus Harris and skipper Tim Paine ended up being top scorers for Australia with 22 runs each. 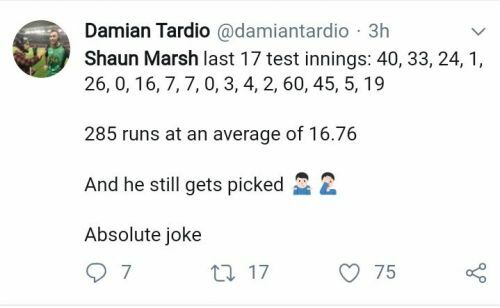 The Australian team's poor batting performance provided enough content towards the funny tweets to be made on them on Twitter.